This week at i heart faces is all about angles. 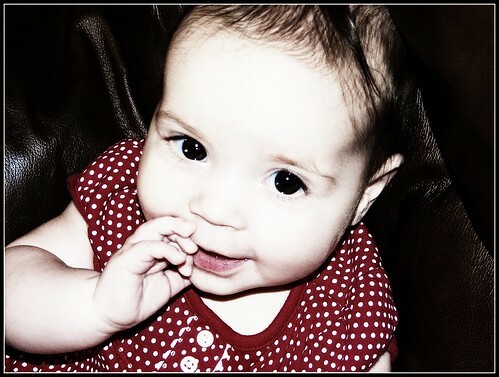 Even though no one else in my family seems to like it, I love this picture of Sarah at 5 months because of the angle. I loved capturing her from above. Head on over to i heart faces to check out the other great entries! I loved your shot :) her eyes are amazing! Aww she is adorable! Great shot!